Nice to see Andrew tell his side of the Rocketboom story. As we all know, there are three sides to every story: his side, her side, and the truth (which is usually right in the middle). A friend of mine pinged me (I wont say who since he didn’t give me permission–if he wants to reveal himself he can) to say that I should be nice to Andrew. Let me say I don’t really know Andrew well beyond being on TWiT with him and–frankly–this video. On TWiT he was way over the top, telling a very seasoned panel about how he was building the next Newscorp. We all sort of rolled our eyes at that one, but hey, I’ve gotten a lot of press by saying hyperbolic stuff like that. 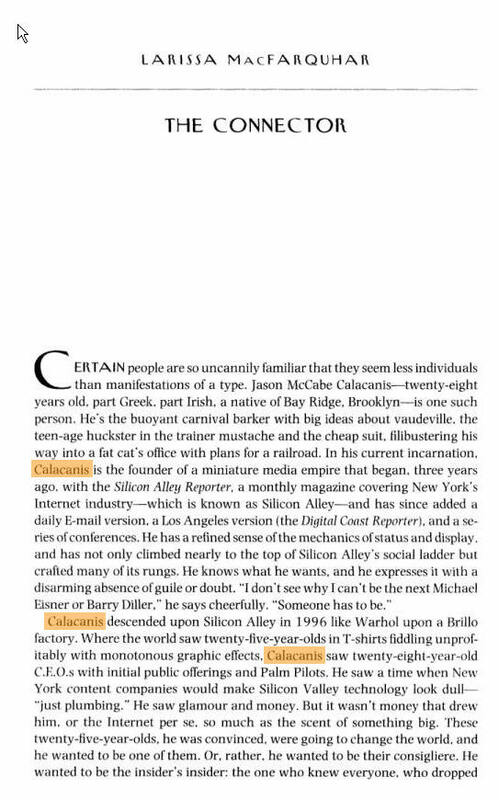 In the infamous New Yorker profile I had a couple of years back I said something like “I don’t see why I can’t be the next Barry Diller or Michael Eisner, someone has to be (image here). I said even crazy stuff about TimeWarner/AOL on Charlie Rose–let’s hope no one digs up that tape! I believed it when I said that stuff, and I think Andrew believes it too. However, it’s fine to say things like that if you’ve done something that warrants it a little (at the time I had Silicon Alley Reporter under my belt–a $12M a year business), but if you’re new to the scene without a track record folks will be taken back by those kind of statements–which they were on the show. Whatever… I can’t be critical of folks shooting their mouths off given my track record. Watching Andrew on this video explaining the breakup I have lot more respect for him. He’s being very blunt, and I can see he has some fire in his belly from being dissed over the past week or so. If he can focus that anger on making great product I think he, and Rocketboom, will come out of all this stronger. That’s a good thing for Amanda too since she owns 49% of the company. Nothing could be better for everyone involved than Andrew making Rocketboom a major hit. Amanda and Andrew will both make someone money off their efforts, and hopefully Amanda will find a new home. This new transparent world is hard for folks to deal with, but for those of us living in public for the past couple of years this all feel kind of normal–right?! Previous Post Best DRM cracking software for iTunes/iPod on Windows?